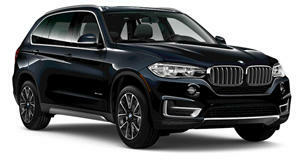 BMW pushes up its X5 replacement to face new competitors. BMW’s X range of sporty crossovers and SUVs have been gradually expanding over the years until now we have just about every permutation of high-riding, dynamic-driving machines to choose from. At the BMW AGM held in Munich this week, Group CEO Harald Kruger said that 2018 would be their X year. 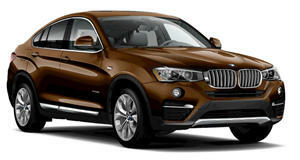 With the new X3, X2, and X4 already launched, he revealed that the would also make an appearance later this year. The current-generation F15 X5 has been in production since 2014 so this announcement would mean a production lifecycle at least two years shorter than most other models in BMW’s range. The increasing competition in this sector as well as new, technologically advanced models from rivals may have spurred this move. Mr. Kruger went on to say that we would see the , codenamed G05 as early as next month. Based on the CLAR architecture that underpins most new models, the platforms use of high-strength steel, aluminum and carbon fiber that should see a weight reduction over the outgoing model. According to BMW Blog, European customers will be offered a number of diesel engine options as well as some new engine offerings undoubtedly with renewed focus on hybrids such as the xDrive40e. The familiar turbocharged V8s should also be on offer and an M version with a variant of the new M5’s powerplant is sure to make an appearance in due course. The will be a welcome addition to the range and should be followed shortly by the X6 coupe with which it shares the majority of its components. This truly is the X year for BMW, with the established X variants all taken care of and the new , the year should end on a high note with the making an appearance as well.